Polynesian Punch is described as a kaleidoscope of color from orange to pink to yellow. 12-15 petals with a cuplike shape. 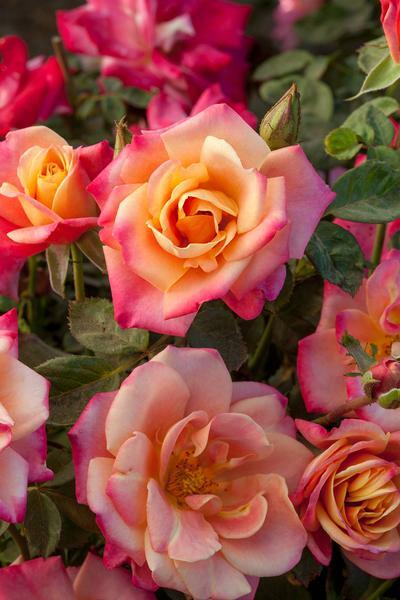 This rose will do best in the dry climate of the West Coast.